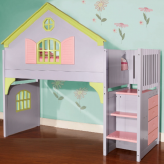 Whether you’re looking for a castle bed for your toddler or sturdy bed for a guest room, we have the quality you’re searching for. 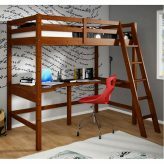 Here at Bunk Beds Bunker, our wooden loft beds come in a wide array of designs from low loft beds designed to keep your little one secure and inspire their imagination to full size lofts with an attached desk, which is perfect for the dorm room or home office/guest room. 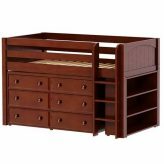 With our wide range of styles, our beds will compliment your decor perfectly. 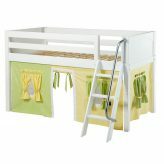 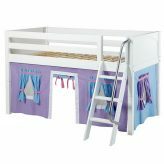 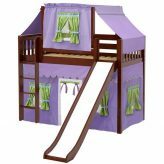 Find a fun, space-saving wooden loft bed here at BunkBedsBunker.com today! 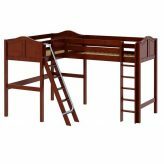 If a lofted bed is what you are looking for, browse our wide selection of loft beds with desk, loft beds with storage, loft beds with stairs, and even fun, loft beds with slides and colorful play curtains. 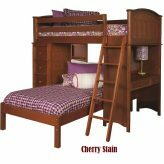 We have solid wood twin and full loft beds with options to reconfigure the beds as your child grows. 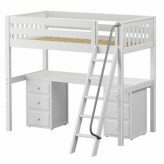 We carry a couple lines which allow you to start with a twin bed, add a fun tent, lift it to a lower loft bed, maybe one with a slide, lift it to a higher bed and incorporate a desk below, or add another bed and turn it into a bunk bed. 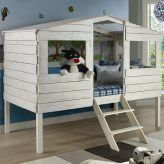 What a great way to only buy your child’s bed one time. 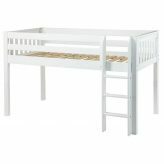 If you are really cramped on space, consider one of our elevated beds with all the storage, shelving, or desk you need fitting neatly under the bed. 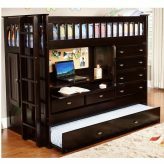 The rest of your room is free. 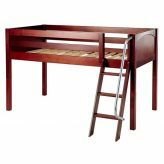 Lofted beds are popular for many reasons. 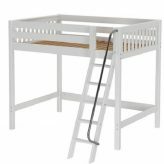 Sometimes it’s just for the fun of sleeping elevated. 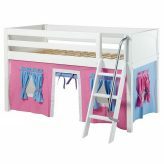 Teens love to have loft bed and free up the rest of the room for hanging out. 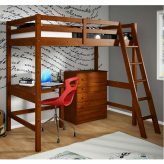 Obviously, a wood loft bed with a desk underneath is popular for tweens and teens. 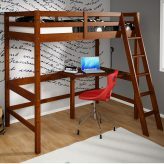 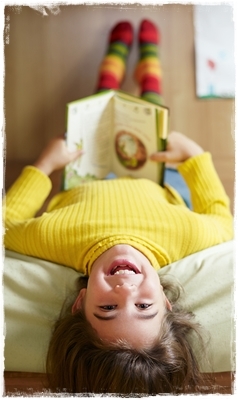 This gives them a dedicated study area while optimizing space. 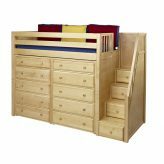 We have wood loft beds with stairs, loft beds with slides and tents, and loft beds that come complete with under bed storage chests, bookcases, and desks. 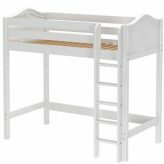 Our loft beds come in an array of natural wood finishes and white. 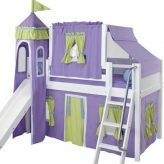 They are low lofts or high lofts and some come with extra safety features such as hand rails or wide grooved ladder steps. 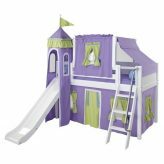 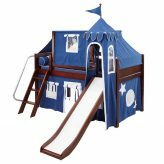 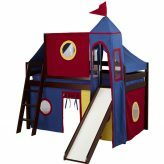 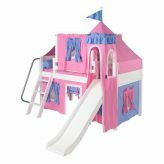 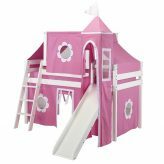 We have so many finishes to choose from, simple lofts to extreme play lofts such as those with the castles or tents, study loft beds, loft beds with stairs or ladders, high or low loft beds, and loft beds that come with all you need for storage and study below. 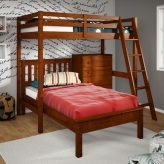 So whether you are in the market for boys loft beds, girls loft beds, or loft beds for teens, check out our huge selection of loft beds for sale!